Monster TD Free is a unique tower defenсe game with rogue-like and RPG elements and exciting gameplay. Have you ever wanted to be on the dark side of the dungeon? To be not a hero, but a monster? If it is so, then your time has come! Play as a furious monster that tries to defend his treasures from people from above! In Monster TD Free you are playing as Minotaur, the Lord of the Dungeon. It is your duty to watch over and defend the secrets of the labyrinth! Choose the skills that you want to use, combine them into epic skill build and take part in the deadly clash! Wipe away all your enemies wave by wave and save the ancient treasures! 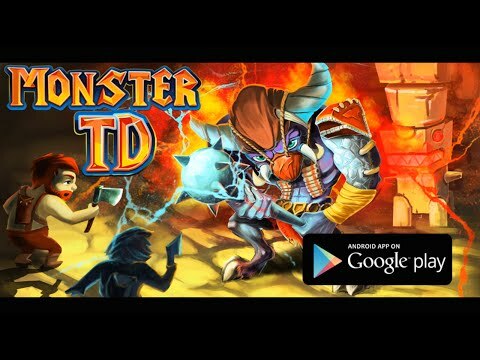 If you like tower defenсe game genre and if you want to feel real power of the maze monster, then Monster TD Free is exactly what you are going to like! Download the game, tell your friends about it and enjoy it! Good luck in your adventures!